Cathy’s Review: Jason’s home, but it’s getting pretty boring being home, and he can’t forget about Rachel, mostly because her parents are doing such a great job keeping her disappearance in the media. He feels bad that he can’t share with them that she’s okay. Jason keeps going back to the zoo and visiting the hippo in the hopes that the same gateway to Lyrian will open for him again, but he hasn’t had any luck. Until one day, he’s staring at the hippo when the little boy next to him remarks about the music that he’s hearing. Jason hadn’t even noticed the music to this point, but as soon as the little boy talked about it, he knew exactly who was playing the music, Tark. He jumps into the water and…nothing. The hippo doesn’t seemed inclined to open his mouth, even with Jason beating it. Jason swims to the top of the water, where all the spectators tell him that he’s crazy to be in the water with the hippo, and all of a sudden the hippo opens his mouth and swallows him, again. Thus begins Jason’s second journey to Lyrian. It will of course be fraught with all kinds of danger, from spies, and lurkers to zombies and of course, Maldor. This was an amazing book! 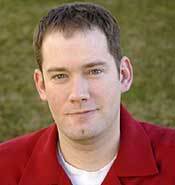 I love the worlds and all the crazy characters that Brandon Mull has imagined. I thought that this book was better than the first of this series. I enjoyed all the action and the suspense. 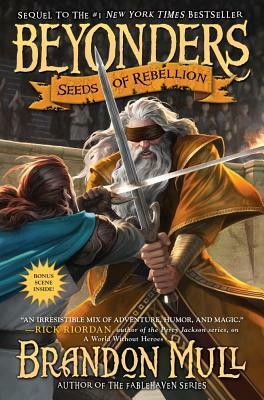 I enjoyed the way the book ended and the way that the ending seems as though good will always conquer evil.